A big thanks to everyone who made the 19th Annual Conference a great success. Our co-hosts, the City of San Angelo and the City of San Angelo Development Corporation, did a fantastic job of showcasing their city and providing fantastic hospitality. Our speakers gave great information and insight that will help our organization move our mission forward. We once again had great support from our sponsors who make everything possible. And finally we had tremendous attendance from our membership with nearly 200 leaders from Canada to Mexico and several states in between. Now that the conference is over, that doesn’t mean that we can coast through the rest of the year. Election season means an opportunity to meet with candidates for office and tell them that the Ports-to-Plains Alliance Corridor and extending Interstate 27 are top priorities. The same message should be delivered with department of transportation officials when you see them as well. The annual conference is a great time to come together to learn, network and get energized about accomplishing our mission. Now we must go out and put everything into action to continue our progress. The Ports-to-Plains conference kicked off Tuesday at the Riverstage. Registered attendees have come from all parts of North America: from Canada to Mexico to discuss the current infrastructure of transportation. Michael Reeves, president of the Ports-to-Plains Alliance, says it's about connectivity. "With all the development, with I-14 coming, with I-27, San Angelo is really well-positioned to take advantage of that, and be the great crossroads for distribution and networking," Reeves said. Dozens of delegates from Mexico, Canada and all states in between are in San Angelo this week. The reason: the Ports to Plains Conference. Day one focused on just how important connectivity is for healthcare, commerce and agriculture. Ports to Plains Alliance President Michael Reeves tells KIDY the North American Free Trade Agreement — or NAFTA — removed tariff barriers between our three countries. Both Canada and Mexico are two of our top trade partners when it comes to agriculture. That’s just one reason advocates are pushing for an intestate to expand to San Angelo. “Transportation is vital for economic development, job growth, job creation in our region, that’s absolutely imperative. Especially for rural areas, we need connectivity to our markets,” Reeves said. Day two of the Ports to Plains Conference wrapped up this afternoon. The focus was an update on the highways in the Ports to Plains route, along with newest highways added in the U.S. But what about here in the Concho Valley? Will we be getting a new interstate? The answer: it’s more likely we’ll get one if people keep showing support for it. This means supporting the grassroots effort started a few years back. But it’s still going to take quite a while to get everything completed. “It could take 10 years, it could take longer, unfortunately. Even though we have additional funding, and we’re very thankful that our programs are going to be able to increase, the transportation needs in this state are so great that we’re not going to be able to address all of the transportation needs within the next 10 years,” James Bass, executive director of TxDOT, said. 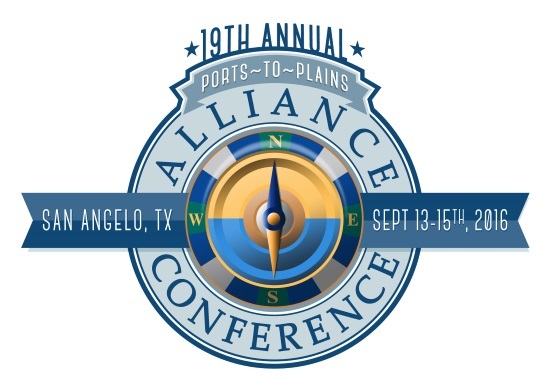 19th Annual Ports-to-Plains Alliance Conference Video... Were you there? While Republican presidential nominee Donald Trump is promising to build a wall on the U.S.-Mexico border, speakers at the 19th annual Ports-to-Plains Alliance Conference are calling for more bridges, roads and communication. "It strikes me from time to time when I watch the political news, concern about border security tends to be inversely related to distance of the person sleeping from the border. In other words, the further from the border someone lives the more concerned they seem to be about the border," said Matthew Rooney, director of economic growth for the Dallas-based George W. Bush Presidential Center. He spoke Wednesday at San Angelo's McNease Convention Center. The conference drew about 178 people from various states, plus Canada and Mexico. "The thing about our border infrastructure is that we need to think about how we relate to these people in a constructive way, which is counter to much of what we're hearing ... things that suggest maybe we'd be better off if we didn't have such close relations with our neighbors and other people around the world." 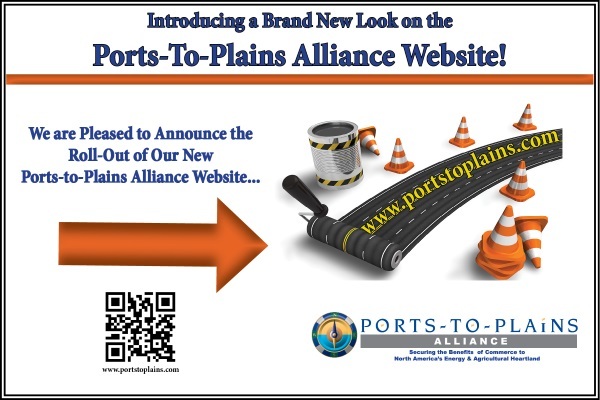 The Ports-to-Plains Alliance and its partner organizations, the Heartland Expressway Association and the Theodore Roosevelt Expressway Association submitted comments urging USDOT to include the Ports-to-Plains Alliance Corridors in this Final National Multimodal Freight Network. The United States Department of Transportation (USDOT) closed a comment period on September 6, 2016 allowing state departments of transportation (DOTs) to make recommendations to the Undersecretary of Transportation for Policy on critical rural freight facilities and corridors that should be included in the National Multimodal Freight Network (NMFN). 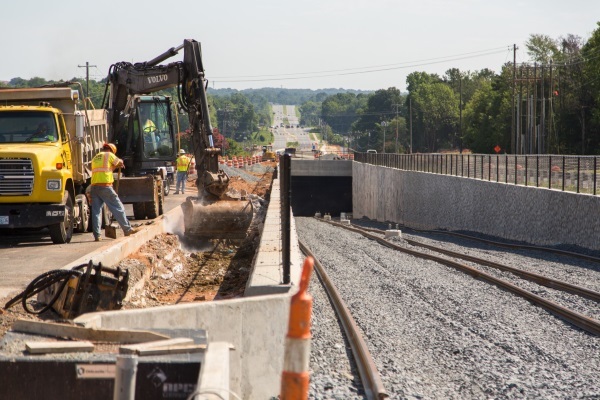 The NMFN looks to the future with the purpose of assisting states in directing resources, informing freight transportation planning, and assisting in prioritization of Federal investment. In addition to these comments, the state departments of transportation in Texas, Colorado, Nebraska, Wyoming, South Dakota, North Dakota, and Montana also recommended the entire corridor in their states for inclusion the Final National Multimodal Freight Network. The USDOT has until December 4, 2016 to make the final designations for the NMFN. There is now a consensus that the United States should substantially raise its level of infrastructure investment. Economists and politicians of all persuasions are increasingly concluding that higher infrastructure investment can create quality jobs and provide economic stimulus without posing the risks of easy-money monetary policies in the short run. They are also recognizing that infrastructure investment can expand the economy’s capacity in the medium term and mitigate the enormous maintenance burden we would otherwise pass on to the next generation. The case for infrastructure investment has been strong for a long time, but it gets stronger with each passing year, as government borrowing costs decline and ongoing neglect raises the return on incremental spending increases. As it becomes clearer that growth is not going to return to pre-financial-crisis levels on its own, the urgency of policy action rises. Just as the infrastructure failure at Chernobyl was a sign of malaise in the Soviet Union’s last years, profound questions about America’s future are raised by collapsing bridges, children losing IQ points because of lead in water, an air-traffic control system that does not use GPS technology and chipping paint in thousands of schools. 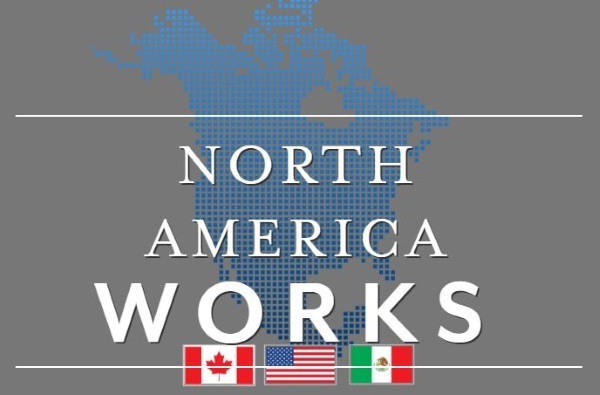 The Freight and International Trade Section oversees and coordinates four major committees: the Texas Freight Advisory Committee; the Border Trade Advisory Committee; the U.S. – Mexico Joint Working Committee; and the U.S. – Mexico Binational Bridges and Border Crossing Group. These committees are critical to achieving the goals of the department and facilitating efficient and safe movement of freight and international trade in order to enhance the state’s economic competitiveness. Each committee brings together a diverse group of stakeholders composed of elected and public sector officials, private sector business leaders, and association representatives. Each committee has a unique function allowing them to focus on various aspects of freight and international trade. Together, the committees provide a wide range of expertise and experience to TxDOT in developing strategies to address the state’s freight and international trade needs and challenges. The Texas Transportation Commission established the Texas Freight Advisory Committee (TxFAC) in January 2013. Chaired by Harris County Judge Ed Emmett, its 22 members and seven exofficio members include private-sector business leaders, modal representatives and elected officials from throughout Texas. The Border Trade Advisory Committee provides a forum for the exchange of communications between the Transportation Commission, TxDOT, the Governor and committee members representing border trade interests. The committee’s advice and recommendations provide them with a broad perspective regarding the effect of transportation choices on border trade in general and on particular communities. Rooted in the guiding principles of President George W. Bush and Mrs. Laura Bush, the George W. Bush Presidential Center engages communities in the United States and around the world by developing leaders, advancing policy, and taking action to solve today’s most pressing challenges. The Bush Center is home to the George W. Bush Presidential Library and Museum, operated by the National Archives and Records Administration, and the George W. Bush Institute, the non-partisan, public-policy arm of the Bush Center. The Bush Center is located on the campus of SMU in Dallas, Texas, and also includes a 15-acre park; Café 43, a full-service restaurant; and a Museum Store. The Texas Department of Transportation has applied for a presidential permit for the Presidio-Ojinaga International Port of Entry bridge project. TxDOT submitted the permit application to the United States Department of State on Friday for the new expanse of the international bridge, according to a news release from the state agency. The presidential permit is required before construction can move forward on the international project. The expanded Presidio-Ojinaga crossing is at least three years in the making and attempts to alleviate existing traffic issues while anticipating future demand. Representatives from TxDOT held a public information session in September 2013 in Presidio about the potential for expanding the bridge. This past June, TxDOT representatives returned to Presidio with plans and artist renderings of the new bridge. Engineer Jorge Suarez presented the project, stating that TxDOT expects bridge traffic to increase 60 percent by 2044. TxDOT’s proposed project involves building a second structure parallel to the existing two-lane bridge. The new structure will absorb the Mexico-bound traffic while the existing bridge will become U.S.-bound only. This will allow the bridge to support two lanes of traffic for each direction. In addition to accommodating more cars, the new structure will include a 10-foot-wide sidewalk for pedestrian traffic. What's Wrong With The Eagle Ford Shale? “What’s wrong with the Eagle Ford?” a friend asked me a couple of weeks back. This was shortly after I’d posted a piece chronicling the somewhat amazing boom in new investments (more than $6 billion during August alone) and rising rig count (over 200 as of last Friday, 50% of the national total for oil rigs) in the Permian Basin over the last couple of months. My buddy, who resides in South Texas, was confused as to why West Texas was benefitting so richly while the economic engine of his part of the world has remained mired with a rig count in the 25-30 range. Of course, the first correct answer to his question is that there is nothing “wrong” with the Eagle Ford Shale. It has been and remains a world-class oil and gas play, a formation that has the potential to ultimately become the single most-prolific oil formation ever discovered in the Lower-48 states. Having said that, it’s still a good question, and one worth more fully exploring. The first and most obvious reason for this disparity is well economics. The Permian benefits from the existence of multiple potential pay zones, i.e., different horizontal underground formations capable of producing oil and/or natural gas in paying quantities. In many locations more than one, and often several such pay zones lie beneath a single drill site. Obviously, the ability to produce oil and gas in paying quantities from multiple formations by drilling a single hole will have the effect of lowering the well’s overall costs per unit of production. Should the farm economy reach crisis proportions next year, House Agriculture Committee ranking member Collin Peterson suggests Congress’ only option may be to enact the next farm bill more than a year ahead of schedule. As outrageous as it sounds, a few other lawmakers and agriculture industry groups agree with the Minnesota Democrat. But while Peterson is preparing for the worst, many farm-state lawmakers are holding out hope that the current farm bill can carry producers through the period of low commodity prices, weak global demand and soaring production of grains and other commodities — and that markets will eventually turn around.